Slender toothwort is also commonly known as Beautiful bitter-cress. 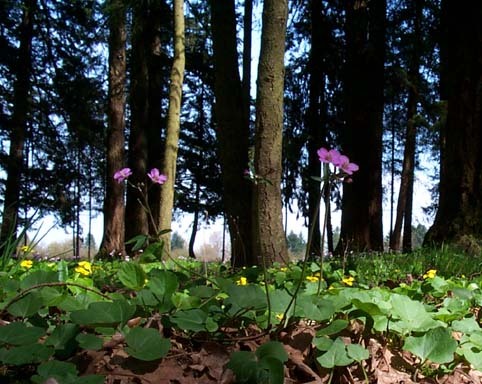 It can be found in the low lands, in shady forested areas. 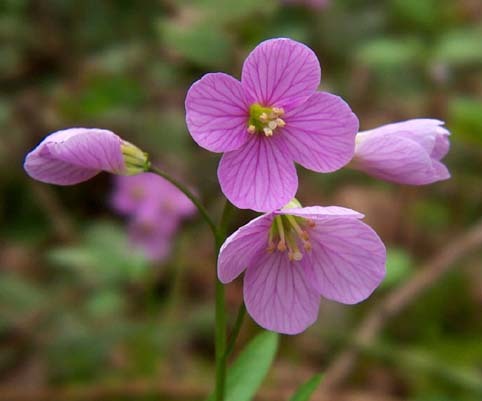 In the lower picture you can see the pink flowers of the Slender toothwort growing up from among the Smooth Violets. Slender toothwort is a member of the Mustard family.